For Andrew and me, one of the best parts of travel–perhaps THE best part–is eating. 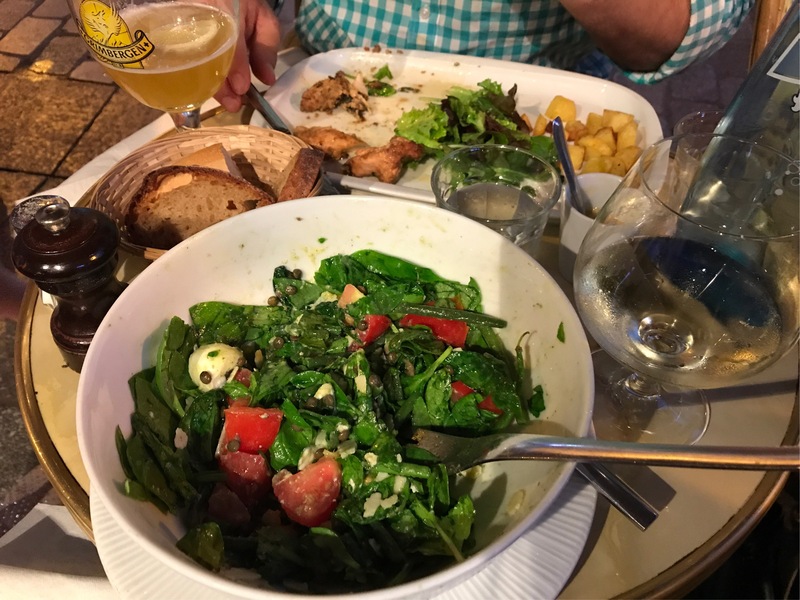 We love enjoying both regional specialties and emerging cuisines, basically anything that comes recommended by our host, our guidebook or Andrew’s own online research. As usual, this trip did not disappoint. 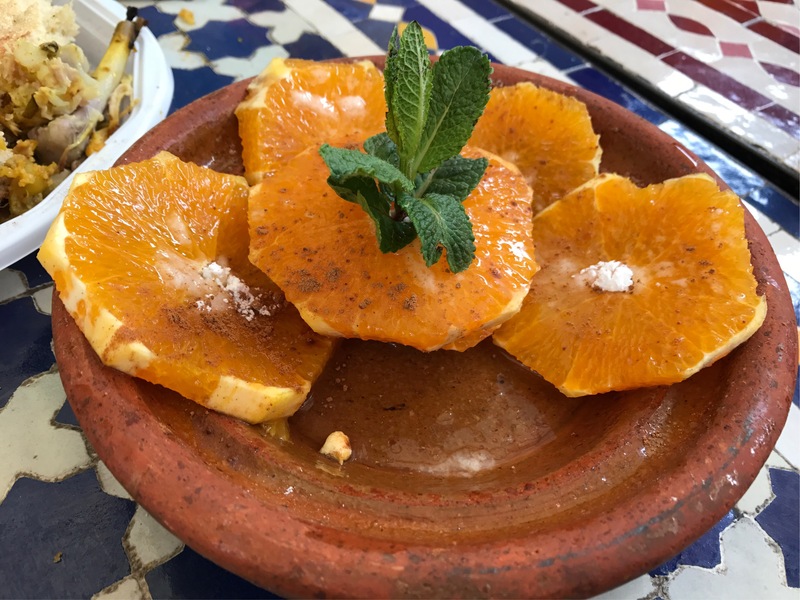 As part of our Moroccan lunch at Marche des Enfants Rouges, we enjoyed this incredible orange salad that was so refreshing on a hot day. Sliced oranges, cinnamon and mint drizzled with simple syrup and a dusting of powdered sugar. Perfection. 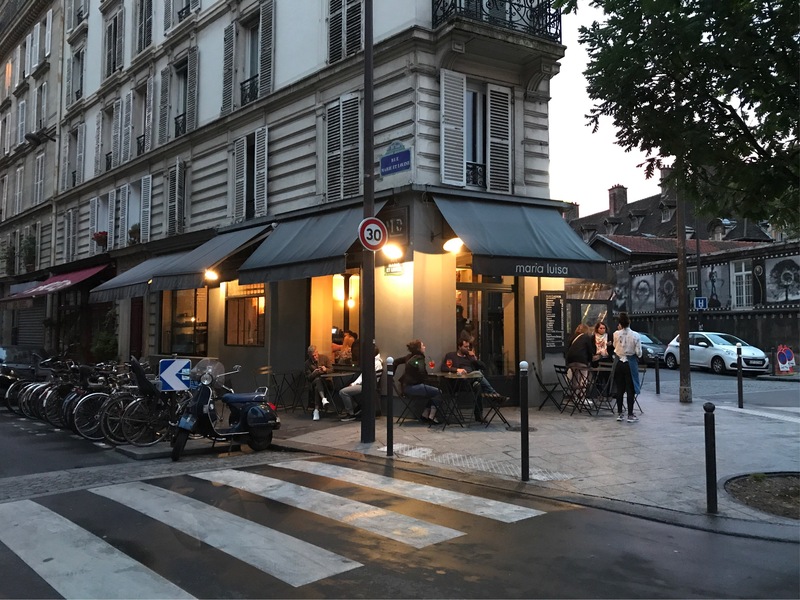 Andrew and I had a very nice dinner at Le Petite Cler, a restaurant on Rue Cler just a block from our apartment. I enjoyed a really nice salad with poached egg and capers. I think I ate more salads on this trip than any other, and many of them were stand-out delicious! 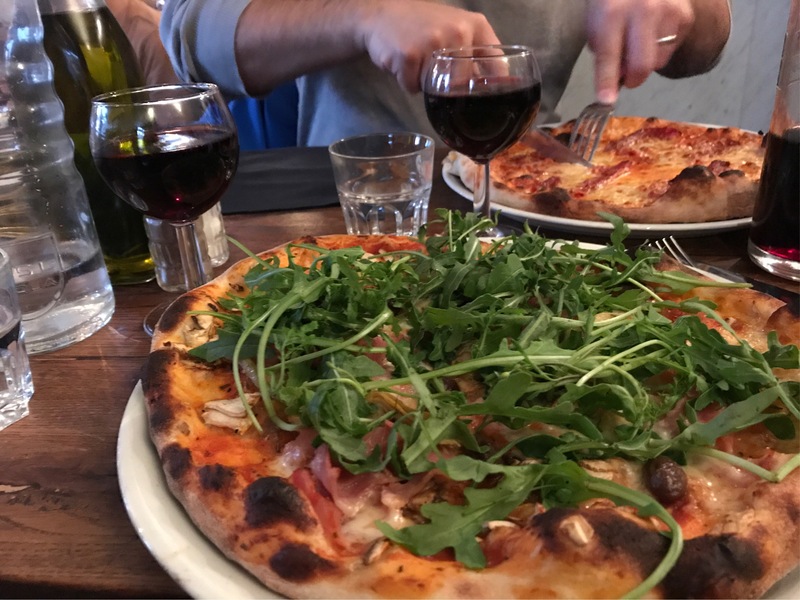 After returning from our day-trip to Chartres, Andrew and I ventured off the beaten path and into the canal zone to grab pizza at an up-and-coming Italian place. Our trek was totally worth it and we enjoyed both the pizza and the people-watching. It was full of locals of all ages; families with children, hipsters in groups, hipsters in pairs… We were fascinated by the American-English speaking pizza baker and (who appeared to be) his wife and toddler. What’s their story, I wonder? I love a good red with pizza. 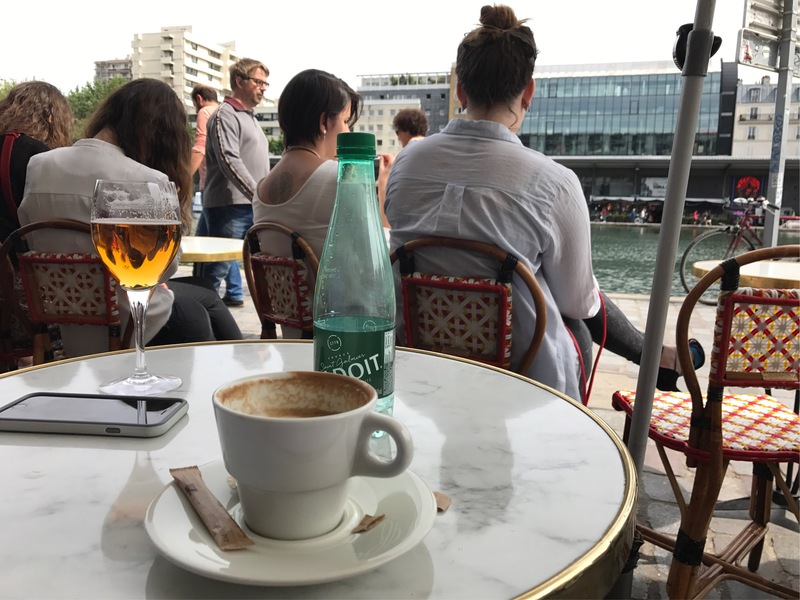 Speaking of the canal zone… On another day, while at Canal Saint Martin, we sat down for drinks and more people-watching. Café-sitting is perhaps THE most quintessential French thing to do. 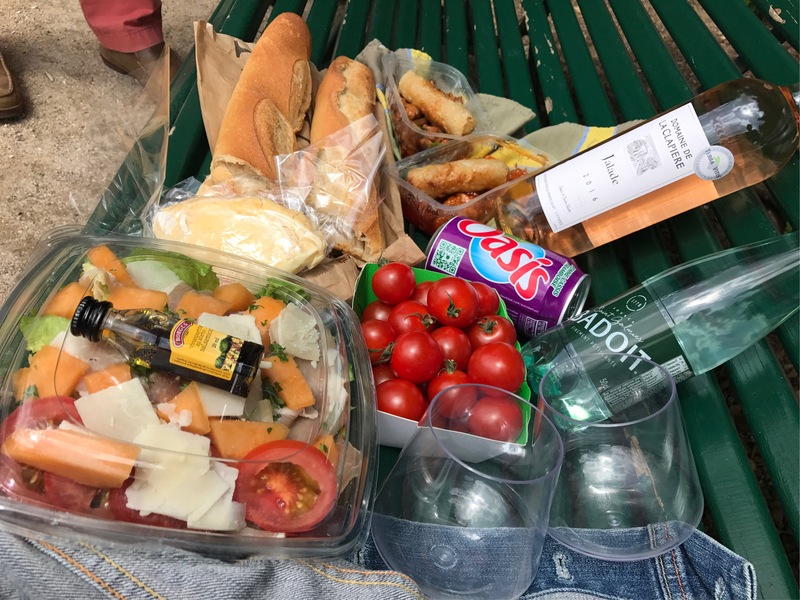 Posted on July 19, 2017 July 18, 2017 by thehealthypineapplePosted in TravelTagged canal saint martin, Food, le petit cler, marche des enfants rouges, maria luisa paris, moroccan food, orange salad, Paris, people-watching, pizza, red wine. I’m going to try making the orange salad! Sounds good! Let me know how it goes! Your comment reminded me about how I wanted to re-create the smoked salmon, white asparagus and egg salad from Amsterdam. Gotta get on that!